The tasty meat skewers called satay and its popular tangy peanut sauce are well known in most international cities around the world, and these deliciously marinated meat pieces grilled on a charcoal ember heat, have an interesting history, evolution and creativity as seen from its different ways of preparation and serving. In this article, we explore the interesting history of satay, its origin and influence on other cuisines, and some of its many different ways of preparation. 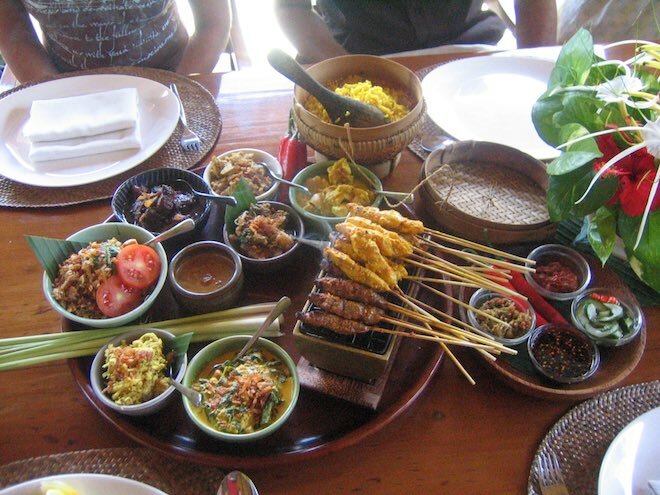 Satay has been influenced by Indonesian, Malaysian and Thai cuisine but its origin has been widely agreed to be the Indonesian island of Java. Satay is a meat dish that is marinated, skewered, grilled and served commonly with a peanut sauce. Though satay is said to have originated in the Indonesian island of Java, it soon spread out to the nearby countries of Southeast Asia due to their close proximity, and the travel and trade ties that existed between these countries. Satay can be found in many Southeast Asian countries including Malaysia, Singapore, Thailand, the Philippines, Brunei, and East Timor, where it has adapted to the local cooking style and ingredients, having its own distinct flavor. 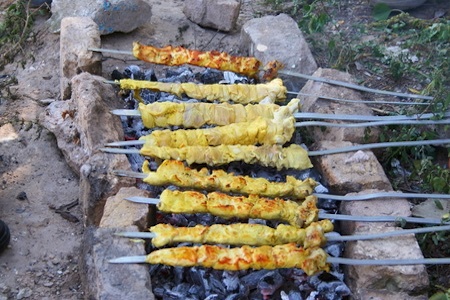 Just as the satay recipe traveled outside the Indonesian island of Java and inspired other countries to create its own style and flavor of meat skewers, marination and sauces, its own origin and history are influenced by the Middle Eastern kebab, which is a broad term covering a wide variety of grilled meat dishes cooked on a skewer over a fire. 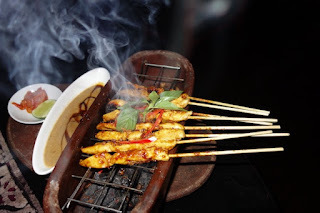 To understand the history and origin of satay it is important to understand the history of Indonesia, since the evolution of food and culture is closely related to the historical evolution of a country. Satay is known to have been invented by the street vendors on the Indonesian island of Java, inspired by the Indian kebab, which itself has its roots in the Mughal Empire and ancient Persian culture and cuisine. 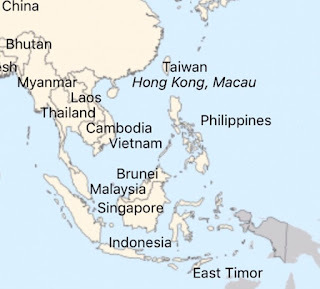 Indian textile trade has a long history spanning many centuries with Indonesia and China being two of its important trading partners in Asia. 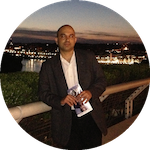 During the 18th and early 19th century the textile trade between India and its trading partners, including England hit its peak. 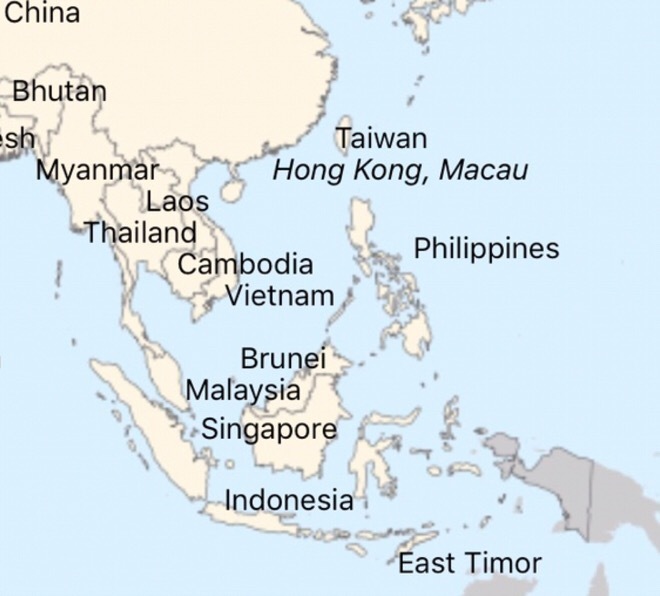 During the early 19th century, Java was a colony of the Dutch and the Maluku Islands within Indonesia also known as Spice Islands were an important trading center of the Dutch East India Company due to the availability of nutmeg and cloves, which were in high demand, during that period. In the early 19th century there was an influx of Muslim Indian and Arab traders and immigrants in Indonesia as textiles were traded for spices. It was during this period that satay is said to have become popular in Indonesia, and over a period of time, with the culinary creativity of its street vendors, gained its own distinct identity. Satay is a very popular delicacy in Indonesia and there are a variety of different ways in which satay is prepared. Spelled as sate in Indonesia, it can be obtained from street vendors, small to upper-class restaurants or during traditional celebration feasts and social gatherings. Satay is considered a national dish of Indonesia. It is a widely renowned dish in almost all regions of Indonesia and the different satay variants are usually named after the region its originated, or ingredients used, or the method of preparation. 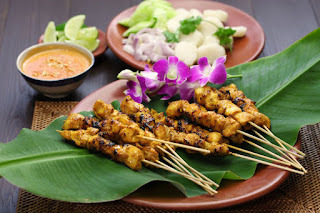 Satay is considered a delicacy in many other Southeast Asian countries including Malaysia, Singapore, Thailand, the Philippines, Brunei, and East Timor. Satay is also a popular dish in the Netherlands due to Indonesia being a former Dutch colony. Likewise it is also part of Surinamese cuisine, as Suriname was a former Dutch colony. Satay just like the evolution of most food is the work of individual creativity, collaboration, fostered by collective adoption, and progress across generations and different cultures. 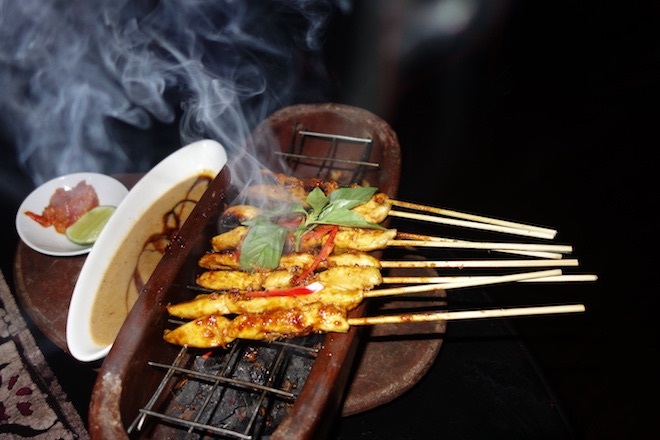 In many international cities around the world, satay can be found in Asia restaurants. In American cities, it is a popular menu item in Thai and Malaysian restaurants. Satay can be prepared from different types of diced or sliced meat including beef, chicken, goat, mutton, pork, fish or tofu. The meat is seasoned with different herbs and spices and then grilled or barbecued over a wood or charcoal fire, and served with various spicy sauces and side dishes, the most common sauce is a combination of soy and peanut sauce. Turmeric is the main ingredient used for marinating the meat and it gives the dish its yellow color. 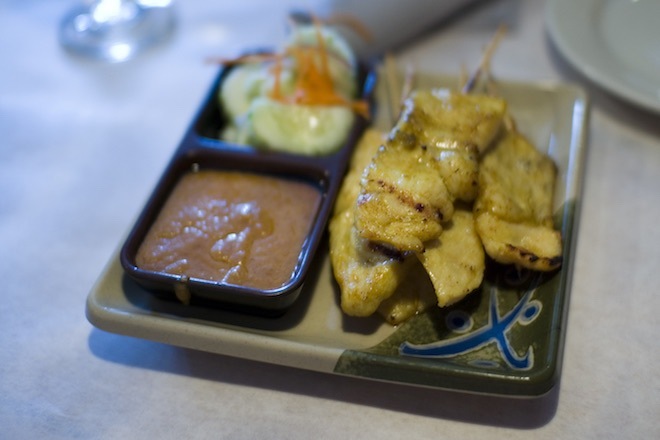 Satay may also be served with cucumber, onion slices or rice cakes besides the peanut sauce. 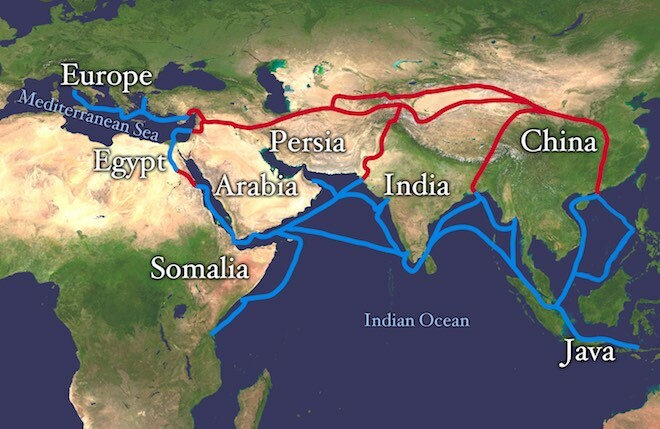 Spices are the ancient treasures of the east that have had a major impact on world history, trade and culture. The preparation of satay differs across countries and also across regions in the same country. The choice of meat and seasoning varies depending on the region and personal preferences. 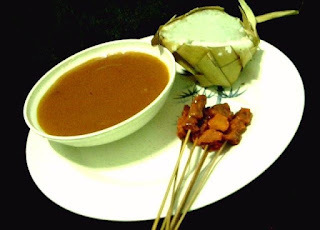 Sate Ayam is the most common type of satay in Indonesia. It is made from chicken marinated in a mixture containing common Indonesian spices such as coriander, turmeric, chopped lemongrass, garlic, ginger, salt and pepper combined with a sweet soy sauce called kecap manis. The turmeric gives the meat its yellow color and the soy sauce adds a slightly sweet flavor to the meat. It is commonly served with bumbu kacang, a dipping sauce made from fried peanuts, sweet soy sauce and other spices or sambal kacang which is made from ground chili pepper and peanuts. For Malaysian chicken sate, the marinade is prepared by blending shallots, lemongrass, garlic and ginger to a smooth paste and then adding ground coriander, cumin, turmeric, oil, salt and sugar to it. After the chicken is marinated for a few hours or overnight, it is grilled and then served with cucumber, onion slices and some peanut sauce. 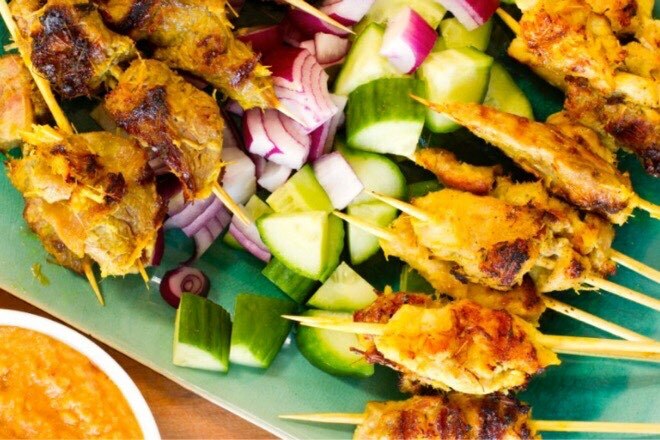 For Thai chicken satay, the marinade ingredients typically consist of coconut milk, turmeric powder, sugar and a light soy sauce to which chopped onion, coriander, cumin, garlic, ginger or fish sauce can be additionally added. Thai chicken satay traditionally known as sate kai, is served with satay sauce made from dry roasted peanuts along with a Thai cucumber pickle relish known as a-jad or with Thai jasmine rice and sometimes with Thai coconut rice. 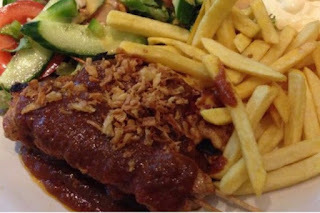 Indonesia was a former Dutch colony, so the satay in the Netherlands is very similar to Indonesian satay as the dish was inspired by Indonesian cuisine. It is mostly made from pork or chicken and the seasonings are very similar to Indonesian satay, with the preparation of the dipping sauce and the sides being different. Dutch chicken satay is known as kipsaté and the peanut sauce is made from a sweet soy sauce called kecap manis, peanut butter and an Indonesian chili paste called sambal oelek. The dish is usually served with french fries and salad.